^ Original source of this quotation is Henry York, Letters from France, Two volumes (London, 1804). 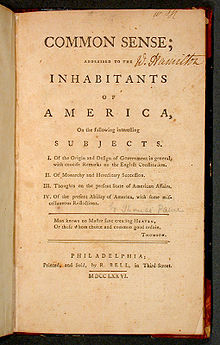 Thirty three pages of the last letter are devoted to Paine. ^ 朱學勤. 《風聲·雨聲·讀書聲》. 三聯書店. 1994: 159. ISBN 7-108-00724-X （中文（簡體）‎）.